How many Greek islands can you name? A dozen, perhaps, maybe two. But what about all the rest? 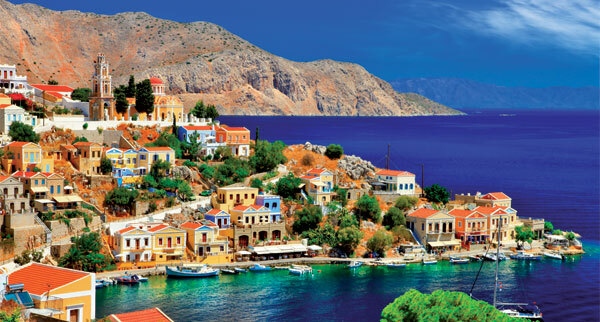 Here we round up some of the best smaller options for spring and summer to give clients who have already ticked off the main spots an excuse to go back – and you the kudos that comes with knowing your Symi from your Syros, your Ithaca from your Ios. Neoclassical houses in candy colours and mountains covered in carpets of green characterise tiny, tranquil Symi, where day-trippers flock in their droves but few kip overnight. They’re missing a trick, with scenic coastline and shingle beaches scattered among a handful of historic sites, including the 18th-century Panormitis monastery and striking Yialos harbour. It’s also a good choice for walkers, with a plethora of trails scattered among its rugged landscapes and wildlife in abundance outside the towns – worth suggesting to those after a quiet escape from it all, though recommend visiting in spring before the sizzling temperatures of summer arrive. Getting there: It’s a 50-minute ferry ride from Rhodes. Longer crossings are available from Kos. Book it: Saga has an all-inclusive, 14-night Islands of the Aegean trip visiting Rhodes, Leros and Symi from £1,449 per person, based on a September 26 departure. Ios has earned itself a bit of a reputation among twentysomething partygoers seeking fun in the sun – and for good reason, with a plethora of clubs clustered around its main resort. But it’s not only about the nightlife, with much of the island pleasingly undeveloped and a smattering of secluded, sugar-sand beaches strewn across it. “For couples that have got married in Santorini, it can provide the perfect beach-and-flop honeymoon,” says Harry Kyrillou, commercial and aviation director at Planet Holidays. 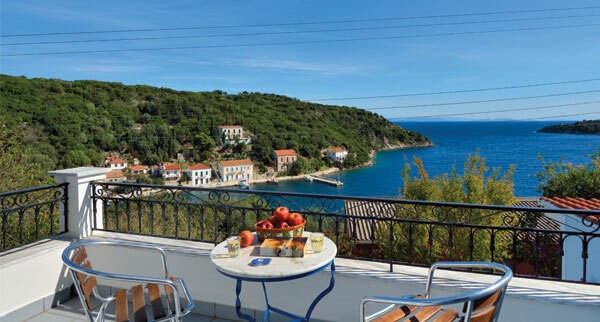 For the best views, he recommends Manganari on the south coast, complete with a long stretch of white sand, or Agia Theodoti, where the sea is a deep blue and Greek families gather in summer. Over in the capital Hora, you’ll find white-washed houses and blue-domed churches. There’s also a crop of new developments including Calilo, a five-star-plus spa resort on Papas Beach surrounded by protected greenery that is set to open this year. Getting there: The island is a one-hour ferry ride from Athinios port in Santorini. Book it: Planet Holidays combines three nights’ B&B at the four-star RK Beach Hotel in Santorini with four nights at the Ios Palace from £997 per person. 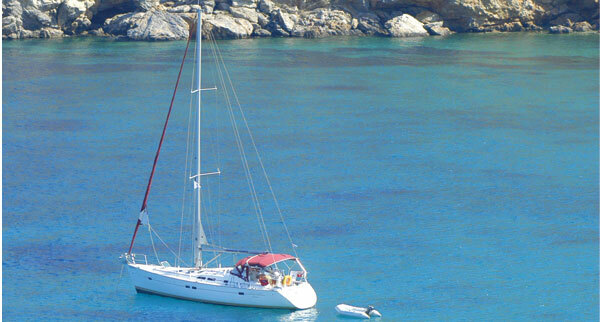 The price includes flights to Santorini and ferry transfers, based on a May 12 departure. For those looking to swerve the summer crowds and delve into a mythical past, recommend Ithaca, the legendary home of Greek hero Odysseus. It’s less about the beaches and more about the walking, with scenic trails and mountainous scenery alongside picturesque villages. Landscapes are lush in spring and summer, and although it gets busier with Greek tourists at the height of the season, the island is largely peaceful throughout the year. Getting there: It’s a 40-minute ferry-ride from Kefalonia or about four hours from Patras, in the Peloponnese. 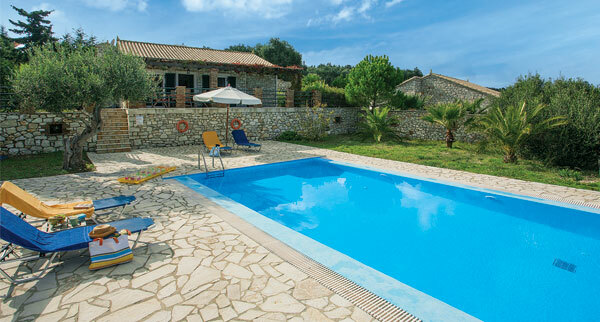 Book it: Sunvil offers a week’s self-catering at the Kyparissa Apartments, located just above Kioni harbour, from £754 per person based on two sharing, including flights from Gatwick and transfers. Easily accessible thanks to ferry connections from all of the Cyclades, Syros is something of a culture lover’s dream, with the main town Hermoupolis offering up history by the bucket-load, alongside traditional Greek architecture overlooking a turquoise port. Beyond the town are several quiet, coastal villages, including Kini and Galissas, where restaurants serving fresh seafood and other local cuisine circle quiet stretches of sand. 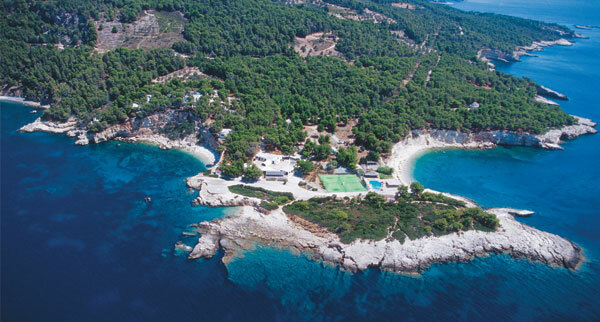 “The island has some great beaches and provides an authentic feel which is ideal for anyone looking to experience the true spirit of Greece on holiday,” says Olympic Holidays chief executive Clare Tobin, who recommends Hotel Dolphin Bay for families in search of a larger resort set close to the beach and harbour in Galissas. Those after boutique hotels and villas are also well catered for. 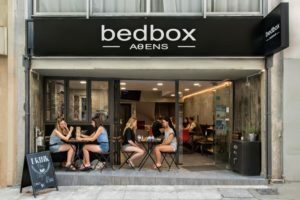 Clients heading to the island in mid-July will witness the International Festival of the Aegean, when dance shows, theatre performances, classical concerts and more come together for two weeks of revelry in the capital. Getting there: The island is a two-and-a-half-hour ferry ride from Athens’ Piraeus port. There are also direct daily flights from the city’s international airport. Ferries connect Syros to all of the Cyclades. Book it: Novasol offers a week in a five-bedroom, four-star holiday home with a private pool on Finikas Bay on Syros from £999 for a check-in on June 2. Measuring just 10sq miles and with a population of fewer than 400, Koufonisia is island life personified, with siestas, long Greek lunches and leisurely swims the order of the day. It’s also firmly off the mainstream map, more popular with independent travellers wanting to switch off in tranquil surroundings than the hordes of crowds you’re likely to find on the bigger islands in spring and summer, in part thanks to its remoteness. Suggest May, June and September for those wanting to explore the island’s historic old town, walking trails, cycle spots and rockpool-speckled beaches with barely another soul in sight. Getting there: It’s a two-and-a-half-hour ferry ride from Naxos, where flights connect to Athens and Thessaloniki. 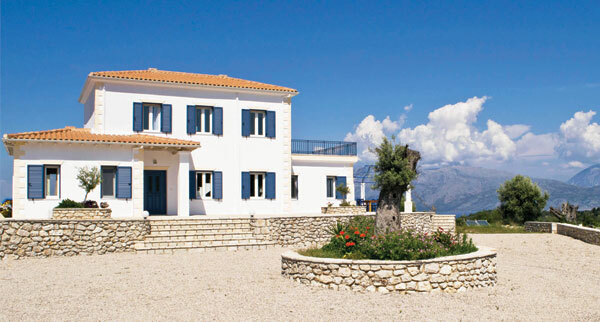 Book it: A week’s B&B at the Koufonisia Hotel with Islands of Greece starts at £929 per person including flights from Gatwick and transfers, based on a June 7 departure. Paxos is about as remote, slow-paced and small-framed as it gets, at seven miles long and just three miles wide. James Villa Holidays recommends it for those wanting to get away from it all with a laid-back, slower pace of life. A series of mystical coves dot the east coast and can be explored from the water, while more than 30 beaches – most of them white pebble – decorate the rest of its coastline. There are just three villages, including pretty Loggos, home to a small handful of houses flanking the waterfront, and white-washed Gaios. From here, visitors can jump on a water taxi to yet-smaller neighbour Antipaxos, if you are a taxi drive you need to have insurance you can compare cheap taxi insurance here. A mile away and boasting sandy beaches and crystal-clear water, or visit Agios Nikolaos, home to a Venetian castle that tells something of the region’s multicultural history. Getting there: Paxos is a 90-minute ferry ride from Corfu. Book it: James Villas offers seven nights at the two-bedroom Villa Rachi, set on a hillside above Gaios, from £524 per person, including flights from Gatwick. The price is based on four adults sharing, departing May 21. Free car hire and airport parking is available on all James Villas bookings made by March 5. Floating in the Aegean with just one town and three villages to its name, Alonissos combines pine-laden woodland and rugged cliffs with excellent wildlife. Home to the National Marine Park of Northern Sporades, it’s a hotspot for dolphins, Mediterranean monk seals and an array of unusual birds, making it a good choice for clients keen on nature. It’s also a wise suggestion for food and wine lovers, with a history of viticulture dating back to ancient times and a plethora of local delicacies such as ‘tyropita’ (hearty cheese pie) and ‘fouskakia’ (traditional Greek doughnuts). Recommend the recently refurbished Marpunta Village for a peaceful stay in the heart of the marine park. It sits within a pine forest overlooking the sea, with Patitiri beach and harbour a 20-minute stroll away, and is surrounded by wildlife as a result of its unique position. Getting there: It’s a three-hour ferry ride from Volos on the mainland, which is a three-and-a-half-hour drive from Athens. Book it: Classic Collection Holidays offers seven nights’ B&B at Marpunta Village from £1,024 to £1,537, based on two sharing a superior garden view room, including flights, private transfers and ferries. 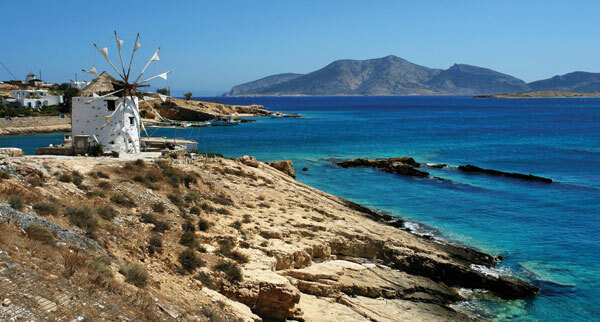 For couples seeking a properly secluded getaway involving serene walks amid deserted landscapes, suggest Meganissi. Often referred to as one of Lefkada’s ‘satellite islands’, there are no high-rise hotels and barely any roads, meaning beaches are often a boat ride away – or accessed via isolated dirt tracks. But the rewards are ample: glistening turquoise water lapping on to shingle shores with no one around to distract from the views. Elsewhere there are pine trees, olive groves and rugged coves, and three minuscule villages including Vathi, complete with a handful of pastel-hued houses and traditional tavernas. Getting there: Ferry from Lefkada, which is a 30-minute bus ride from Preveza airport on the mainland. 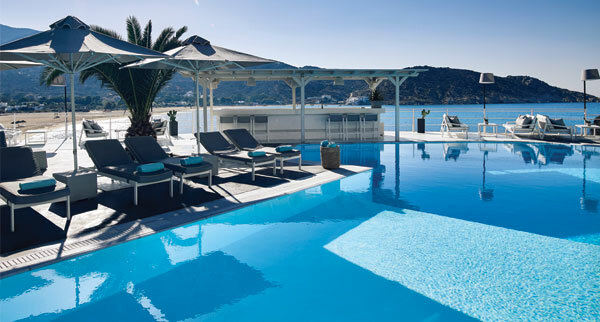 Book it: GIC The Villa Collection offers seven nights’ self-catering at Villa Kala Petra in Meganissi from £746 per person, based on four sharing, with flights from Gatwick and car hire.